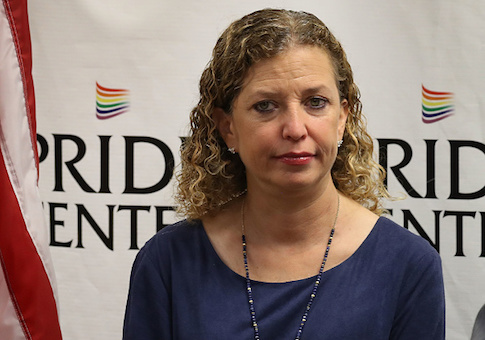 Major cable news networks have given no coverage to the burgeoning scandal involving IT staffers to former DNC Chair Debbie Wasserman Schultz, according to a Washington Free Beacon analysis. Reporting by the Daily Caller News Foundation has revealed that Wasserman Schultz's top information technology staffer Iman Awan was arrested Monday after trying to flee the country amidst investigations into Awan concerning banking fraud and a criminal cybersecurity probe. Awan wired over $280,000 to Pakistan after the FBI recently recovered multiple smashed hard drives from Awan's home. Despite being blocked from the House computer network since February amid allegations of "committing serious, potentially illegal, violations on the House IT network," Awan remained employed by Wasserman Schultz's office. He and four of his relatives have received $4 million by working for Democratic members of Congress since 2009. Wasserman Schultz finally fired Awan on Tuesday, after he attempted to flee the country. His wife already fled to Pakistan with $12,000 in cash. Awan and his relatives had full access to the emails of the Democratic members they worked for, and Wasserman Schultz's password to her iPad she used while she was head of the DNC. There has been no mention of Iman Awan or Debbie Wasserman Schultz in the past week on MSNBC or CNN programs. Schultz has hardly been mentioned on either network since March 1, except in the context of a possible email she had sent in which Loretta Lynch had assured a Hillary Clinton staffer that the email investigation would not go "too far." Fox News and Fox Business channels have reported on the investigation and Awan's arrest. This entry was posted in Politics and tagged Debbie Wasserman Schultz, Media. Bookmark the permalink.